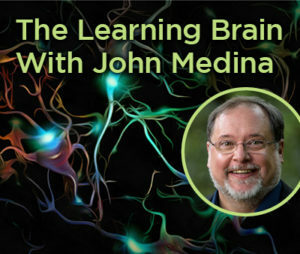 ATD has partnered with John Medina, a researcher and authority in brain science and author of the bestselling book Brain Rules, to present a one day workshop to learn what really drives knowledge retention and performance. ATD has partnered with John Medina, a researcher and authority in brain science, and the author of the best-selling, Brain Rules, to present a one-day workshop that will help you cut through the hype to learn what really drives knowledge retention and performance. Drawing from the latest research in the fields of molecular biology, cognitive psychology, and neuroscience, this one-day workshop will provide you key insights into how humans work and learn best.